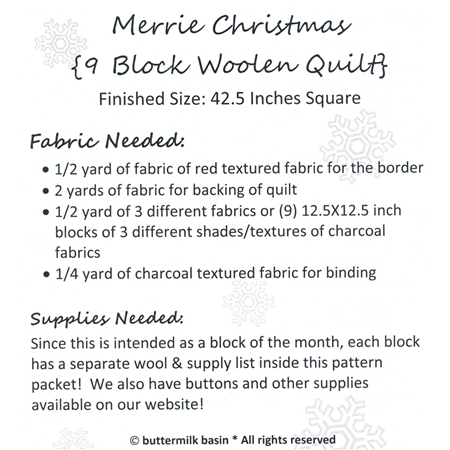 Decorate your home for the holidays with this stunningly beautiful Merrie Christmas Wall Hanging designed by Buttermilk Basin! 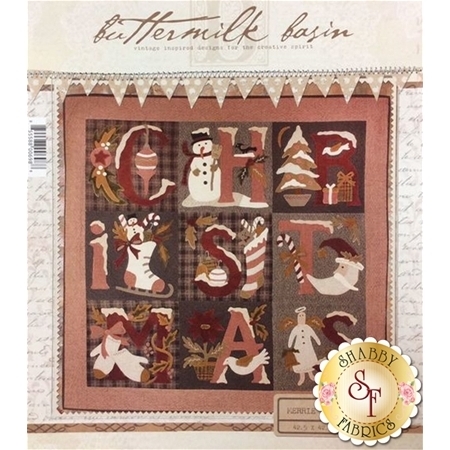 This quilt features candy canes, a snowman, ornaments, mittens, an angel, an ice skate, a Christmas tree, Santa and so much more! Finishes to 42" x 42".